• The machine loads 4” to 12” Wide x 6” to 14” Long pouches. 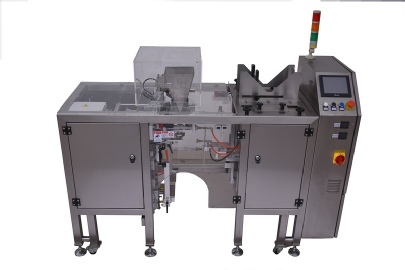 • Can be integrated with automatic product loading systems, scales, date coding, custom magazines. The system is controlled by an Omron programmable controller and Omron color touch screen HMI. Built-in help screens guide operators on screen use and features. 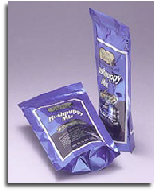 Stored settings for up to 20 bag configurations can be saved and recalled for quick accurate changeover. Dedicated closed loop temperature controllers accurately maintain temperature set point for sealing jars.